The power of strategic partnerships! There's more to just networking and making new business relationships... In today's world it is really about creating a meaningful relationship whether that is with your colleagues in the office, folks you are looking to do business with, and people that you might one day do business with! It's a small world and you never know when the next person you meet will be your next boss or employee! This year I had the privilege of working with what has become a great friend of mine! Mr. Frank Robinson of Island Events. We have created a strategic partnership that works in both our favors - not only have we generated a relationship as fellow entrepreneurs but as allies in the cut-throat world of events. We assist each other, represent each other, refer business because ultimately the more business we can generate for the both of us the better we both do in the long run. So, the question is why haven't you created strategic partnerships? Frank and I had a wonderful time working the Hawaiian booth at the IMEX America show in Vegas this past October. It was amazing to see Frank in action - he absolutely knows his stuff! I am always so impressed with the professionals in our industry that really work hard to shine - Frank shines because he is flawless. If you are looking for an amazing DMC/Planner on the islands of Aloha - Island Events is who you need to call. They serve all islands but if you are looking at the Big Island - then we get to partner on logistics, design, and creating an unforgettable event/conference for your attendees! So, I'll close with - until we see you on the island - ALOHA! 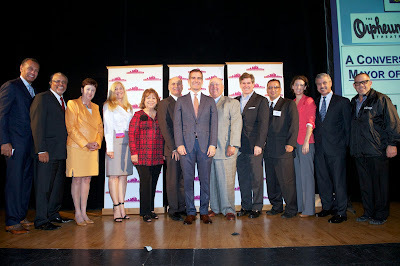 Mayor Eric Garcetti at the Orpheum! 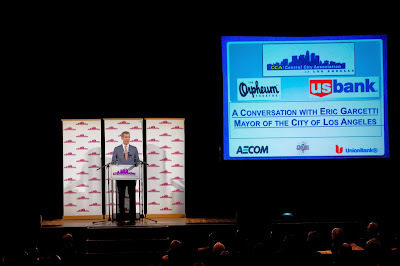 We were proud to produce yet another event in Downtown Los Angeles featuring the still new Mayor of the City of Los Angeles, Eric Garcetti at the beautiful and historic Orpheum Theatre this past October. This event introduced the new Mayor of Los Angeles to the business community in an intimate environment. 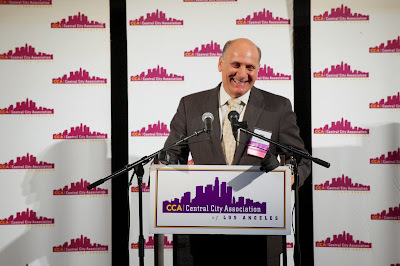 After the VIP Reception, Steve Nissen of NBC Universal shared a few fun Hollywood facts about the Mayor while introducing him, including his big screen debut as LA's mayor! 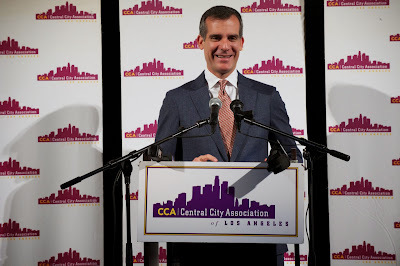 The Mayor was open and candid with his speech. 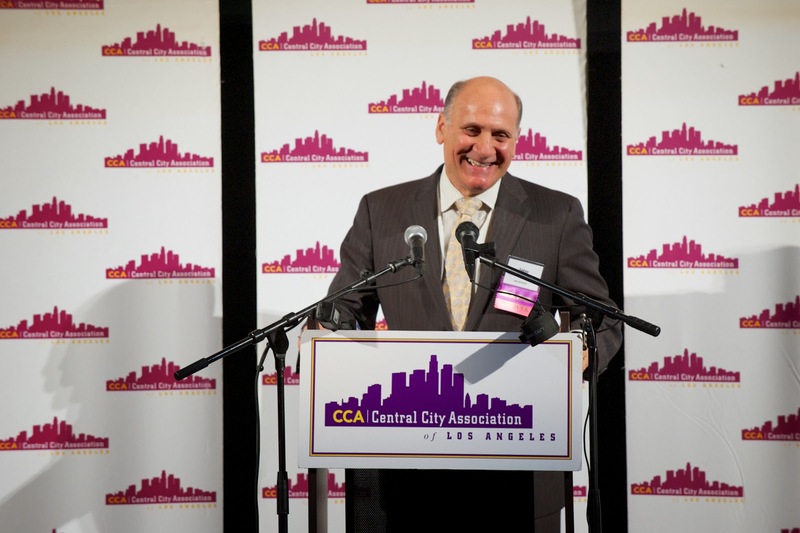 He talked about the changes that would be coming to Downtown Los Angeles and how we was proud to be a part of the ever changing landscape that the Revitalization of Downtown has offered. One of the biggest topics of the morning was homelessness and how to combat it over the next few years. It is a topic that encouraged lively discussions throughout the audience. It will be an interesting to see the next chapter of what Downtown L.A. will go through with its new Mayor. And. of course you can never miss an opportunity to take a pic with the Mayor. Here's a few of the heavy hitters in DTLA taking their pic!